So you have a MPLS connection. You have a stable (but limited) bandwidth, you’ve got your 99.999% reliability and quick recovery times should things go pear-shaped. But at $300 per megabit each month, you’re also paying through the nose. And future-proofing your network far exceeds your budget. We’re here to show you that it doesn’t have to be that way. SpeedFusion? 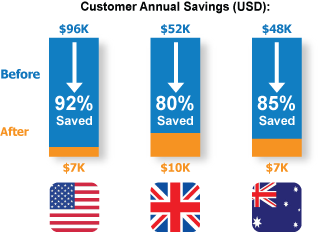 Reduce Network Costs by 80%. Without Compromise. We could help you replace your expensive MPLS by bonding multiple business-class ADSL connections with our SpeedFusion Site-to-Site Unbreakable VPN technology to significantly drive costs down.What if you are not ready to replace your MPLS but still need a way to future-proof your network for growing demands? We can help you supplement your existing MPLS connection, increasing your bandwidth with a low cost ADSL line through bandwidth bonding. 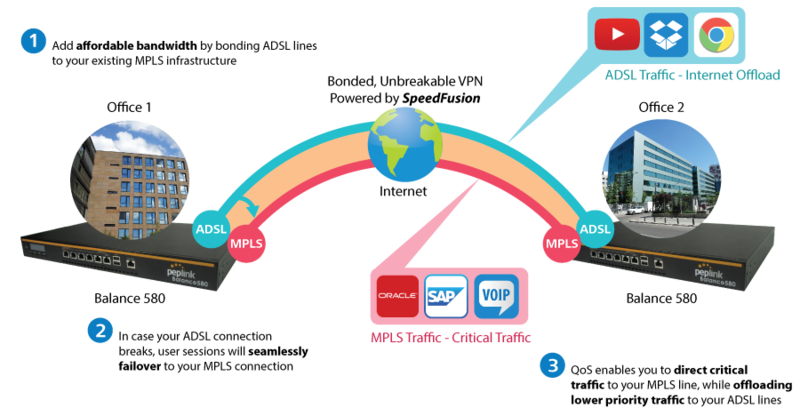 Affordably increase your bandwidth by adding commodity ADSL links to your MPLS connection. SpeedFusion technology bonds all your connections together, enabling session-persistent, user-transparent hot failover. QoS support, bandwidth control, and traffic prioritization gives you total control over your network. Achieve faster speeds and greater reliability while paying only 20% of MPLS costs by connecting multiple ADSL, 3G, and 4G LTE links. 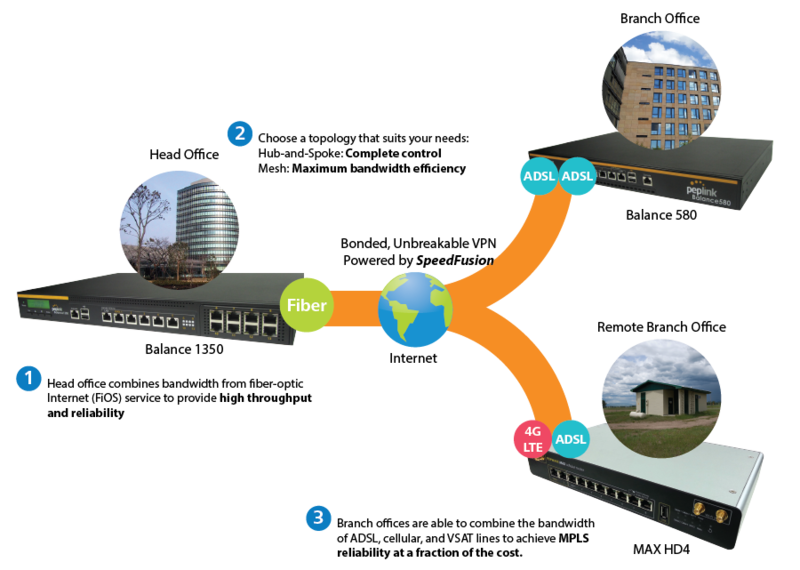 Choose a topology that suits your requirements: a hub-and-spoke topology maximizes control over your network, while a meshed topology can reduce your bandwidth overhead by enabling your devices to form Unbreakable VPN connections directly with each other. This entry was tagged ADSL, MPLS, Multi-WAN, SpeedFusion. Bookmark the permalink.